You will go absolutely NUTS over this house! Walk everywhere from Walnut! This beautiful home is located in the desirable Coffee Pot Bayou/Northeast Shores neighborhood, just outside of Snell Isle estates. 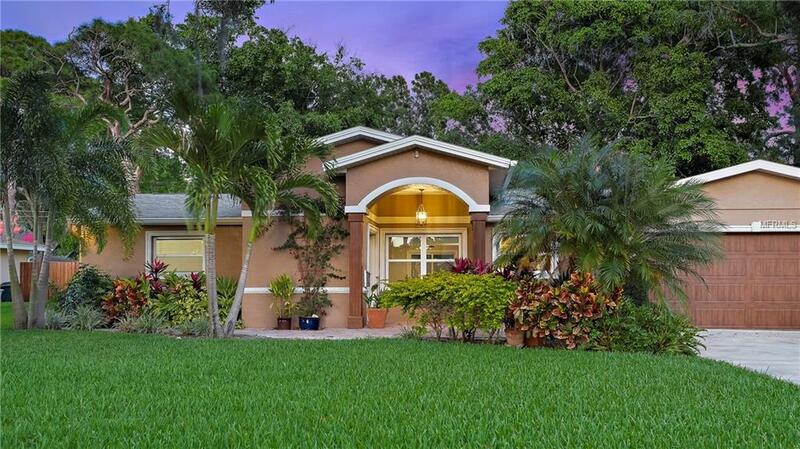 Situated right across the street and has beautiful views of the Vinoy golf course. This neighborhood is in the heart of paradise! Walk to the popular "Poplar" boat ramp at Crisp Park, or to the Vinoy Golf Course. Walk or ride your bike to Coffee Pot Park. Downtown St. Pete is just a beautiful walk on the scenic sidewalk of Coffee Pot Blvd./Northshore Drive. Pride of ownership boasts the minute you walk in the door, very tastefully renovated from top to bottom. The kitchen is the heart of this home, open to the living area with high end granite and stainless steel appliances. A split floor plan, with a very spacious master bedroom which includes an en suite bath.This home has been completely renovated and meticulously maintained. This is your opportunity, great location, great home at a GREAT price! Run, don't walk!